THE CHINUCH PARTNERSHIP MISSION – Massive Fundraising Campaign for YTT is well underway! [COMMUNICATED] It took 34 YEARS to build. 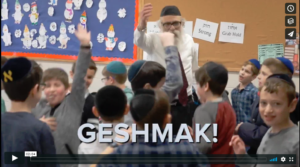 36 HOURS left to SUSTAIN!Yeshiva Tiferes Torah (YTT) was established by Rav Yisroel Gelbwachs Shlita over three decades ago with a simple, yet complex mission of elevating the Chinuch standards for the children of Lakewood. We have 72 Hours NOW to raise our goal of $300,000. Please watch this Video below and Click HERE to help us reach our goal.